I was awakened by the birds today. 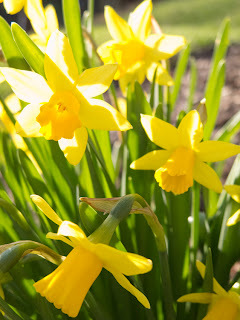 Their morning song rose to greet me as the soft sunshine came through my window bathing the day with its golden warmth. Ah…it’s Easter. Today the grass is a bit greener and the flowers are a bit brighter. No matter what your religion we can all celebrate this time of rebirth. For some of us, it is a day to celebrate and end the long Lenten season. In past centuries it was mandatory that everyone fast from eggs during Lent. On Easter, eggs could again be enjoyed. 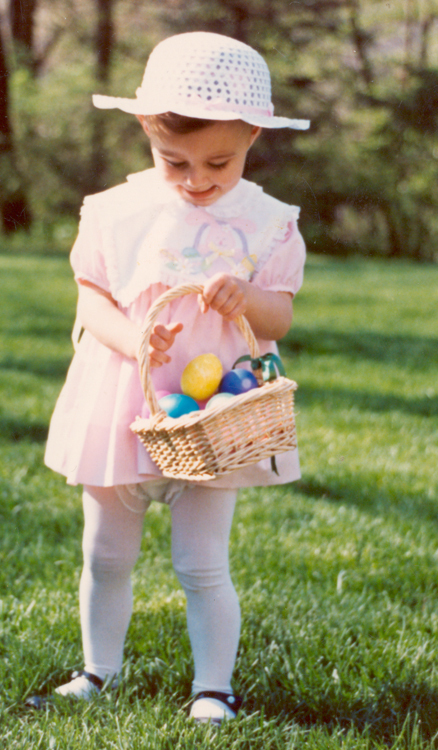 We continue to honor this tradition with the Easter egg. Easter morning Dana would dress in her finery and set out to fill her basket. She would then bring her basket of treasures to the house for us to admire. Nestled in it were all of the brightly colored eggs that we had so much fun coloring the day before. 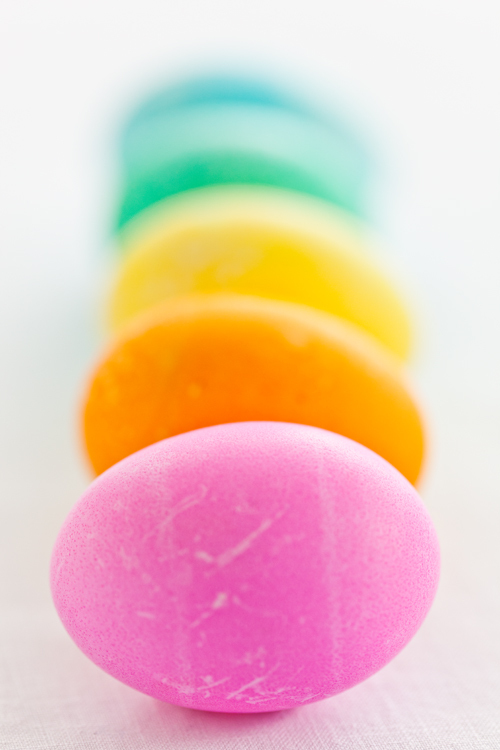 After church, we always had our fill of the pastel beauties, but there were SO many left. What to do? 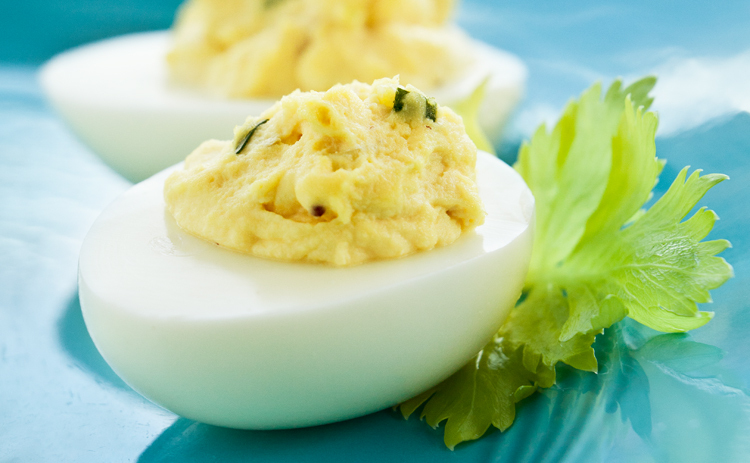 Make deviled eggs! I hope that you enjoy these with your family today….these never last long at our house on Easter Sunday, and I bet they won’t at yours! Peel the hard boiled eggs and cut them in half. Scoop out the yolks and place yokes in a metal mesh stainer. Using the back of a spoon mash the egg yolks through the mesh stainer into a bowl. (My mother taught me this method which gives an even consistency) or you can just mash them with a fork if you choose. Add mayonnaise, mustard, celery, tarragon, salt, and pepper and mix well. Spoon or pipe (using a pastry bag) mixture into the egg white halves. Oh Wow!!! 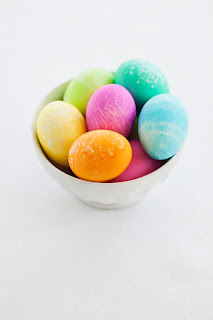 these eggs look so beautiful!!! fresh colors in the spirit of Easter! Eggs simbolise rebirth…I always make deviled eggs after Easter, since I always have some eggs remained :) Have a very blessed Happy Easter!